Yes I'm at it again! Daily blogging for the second month running! *gives self pat on the back* Anything to keep me busy in the run up to having little one. 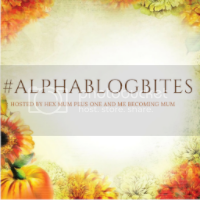 So this is called #AlphaBlogBites and is set up by the lovely Hex Mum Blog and Me Becoming Mum. 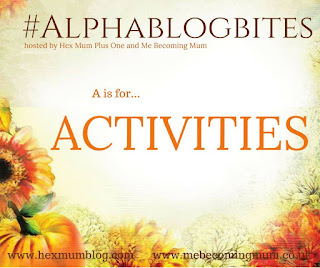 It's down for the bloggers taking part to look at the word given with the alphabet and give their interpretation of it. Horse riding. I loved going horse riding as a child and I would love to do so again (when I am a lot less pregnant). I am planning on taking baby to classes when she is born. I need to look up a few in my local area. Some sort of craft. I love making things but I don't know what, any suggestions? Baking. I love baking! When I put my mind to it amazing things come out of it but I haven't done any in ages. QOTD: What activities do you take part in? Take up crochet, its quite easy to learn on youtube and you can make some really cute baby things!